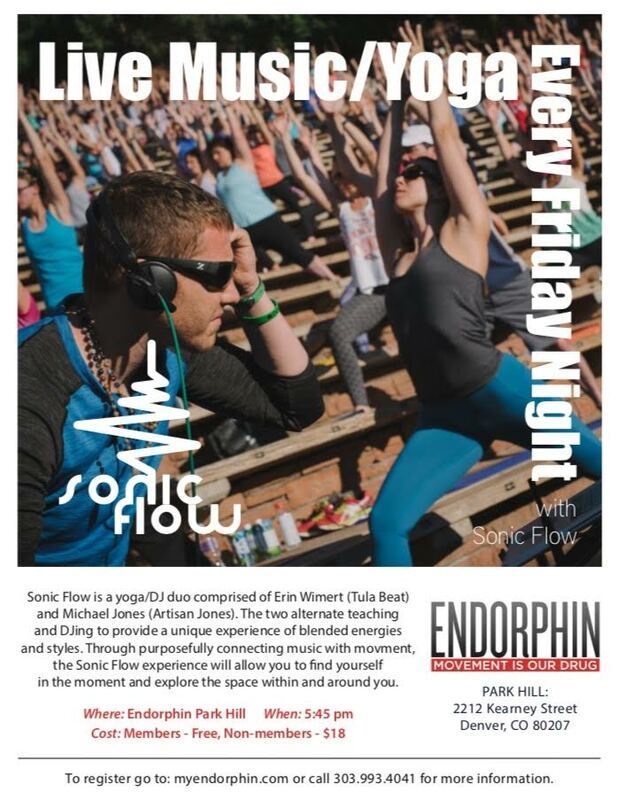 Sonic Flow is a yoga/DJ duo comprised of Erin Wimert (Tula Beat) and Michael Jones (Artisan Jones). The two alternate teaching and DJing to provide a unique experience of blended energies and styles. Through purposefully connecting music with movement, the Sonic Flow experience will allow you to find yourself in the moment and explore the space within and around you. Sonic Flow has been collaborating together for over 2 years and they have been teaching for a combined 10 years. Erin and Michael are both 200-hour trained instructors and have completed hundreds of hours of workshops and immersions. The two have been playing, mixing and recording music for over 15 years. Over the past couple of years, Sonic Flow has done many classes together. Michael and Erin synchronize the flow with the music and the rhythm with the breath allowing people to connect more fully with their practice. Sonic Flow has been collaborating closely with Sound Off Colorado, which provides an intimate experience with wireless headphones in unique locations such as warehouses, art galleries, parks, festivals, etc.